A burial slab believed to have held the body of Jesus Christ before he was resurrected has been uncovered for the first time in centuries by a restoration team in Jerusalem. The original limestone shelf, known as a “burial bed,” was exposed during the restoration of the Church of the Holy Sepulchre after being covered by marble since at least 1555 A.D.
“It will be a long scientific analysis, but we will finally be able to see the original rock surface on which, according to tradition, the body of Christ was laid,” Fredrik Hiebert, an archaeologist involved in the discovery, told National Geographic. According to scripture, Jesus Christ was laid on the shelf in the tomb after dying at the crucifixion around 33 A.D. After three days his remains were discovered to be missing and Jesus was said to have appeared over a span of 40 days before ascending into heaven. The discovery was made by a team of scientists from the National Technical University of Athens (NTU) who were making restorations to the Edicule (“little house”), a structure which had been built around the tomb. 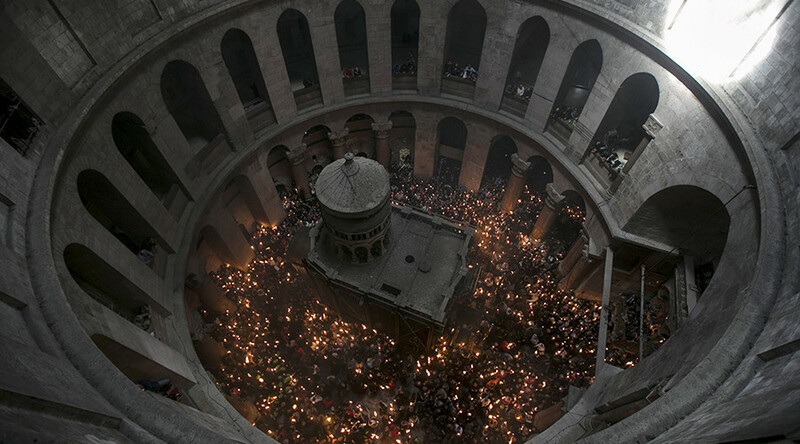 Researchers now hope to study the original surface to better understand the original tomb and how it evolved to become one of the most sacred sites in Christendom. "We are at the critical moment for rehabilitating the Edicule," Chief Scientific Supervisor Professor Antonia Moropoulou told National Geographic. "The techniques we're using to document this unique monument will enable the world to study our findings as if they themselves were in the tomb of Christ." The newly-uncovered surface was described as having a grey-beige stone surface. Also known as the Church of the Resurrection, its custody is shared between six Christian denominations including the Greek Orthodox Church, the Roman Catholic Church and the Armenian Orthodox Church, whom together invited the NTU to undertake the restoration. At a cost of US$4 million, (€3.7 million) the restoration was not cheap, with major donors including Jordan's King Abdullah II and Mica Ertegun, widow of Atlantic Records co-founder Ahmet Ertegun.